It was already our third time in Kuala Lumpur and being honest with you, each of them was completely different. Seeing the city from a perspective of a expat, visiting local food markets, admiring beauty of the Petronas Towers in the light of the moon, we did it all. 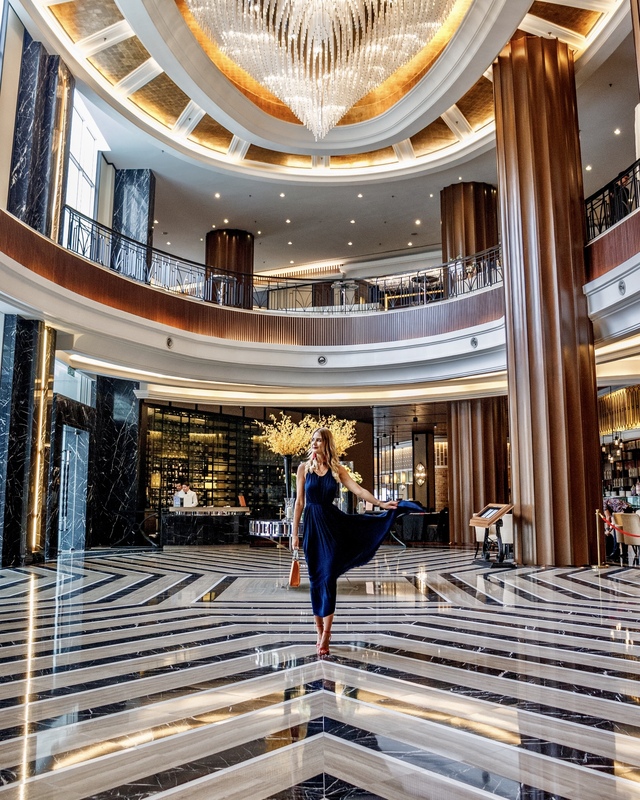 This time was really particular for us, as we heard a lot of amazing opinions about The Majestic Hotel Kuala Lumpur and we couldn’t wait to finally see this colonial beauty with our own eyes. Let’s give you a little idea about The Majestic Hotel. Back in 30’s it was one of the greatest hotels in the city but also an icon of Malaya’s boom years. The hotel quickly became a place of glamorous social events, government receptions and the residence for prominent international visitors. 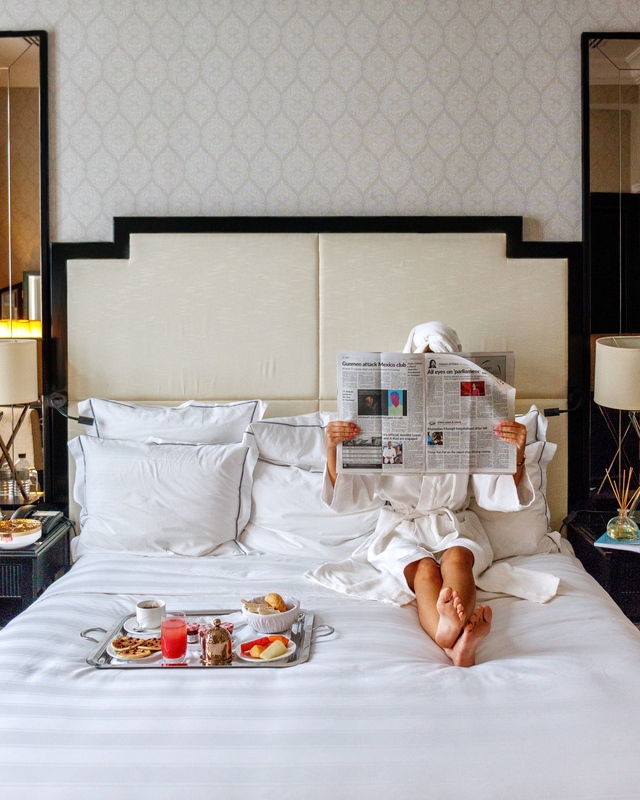 The Majestic Hotel Kuala Lumpur – national heritage site, place where the old and the new cleverly intertwine, place where allure of a city’s distinctive past meet all of today’s modern luxuries and stylish innovations. You can feel its particular atmosphere right from the entrance. You’ll be welcome by porters whom anachronistic pith helmets makes you feel like you’re right back to 1932 when the hotel was actually established. 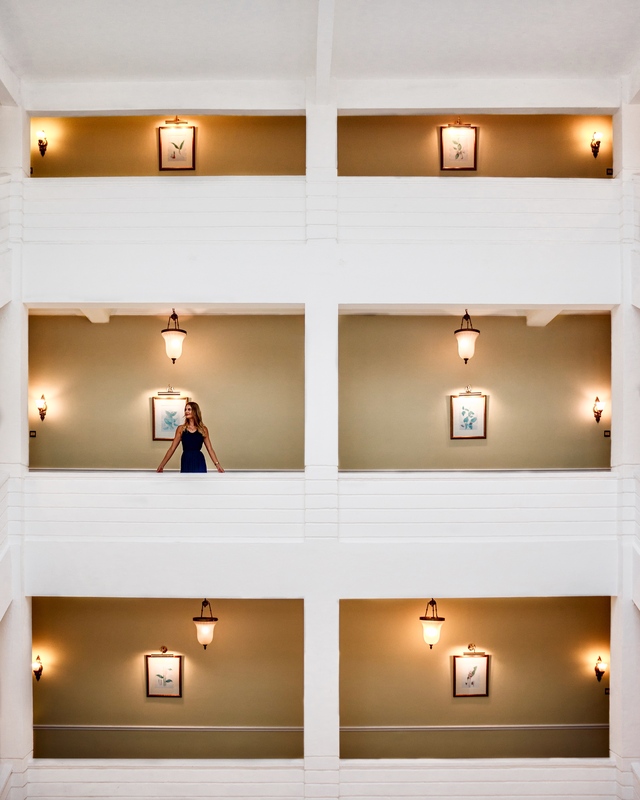 However when you step inside, you’ll be impressed by its modern atrium and Art Deco decorations. 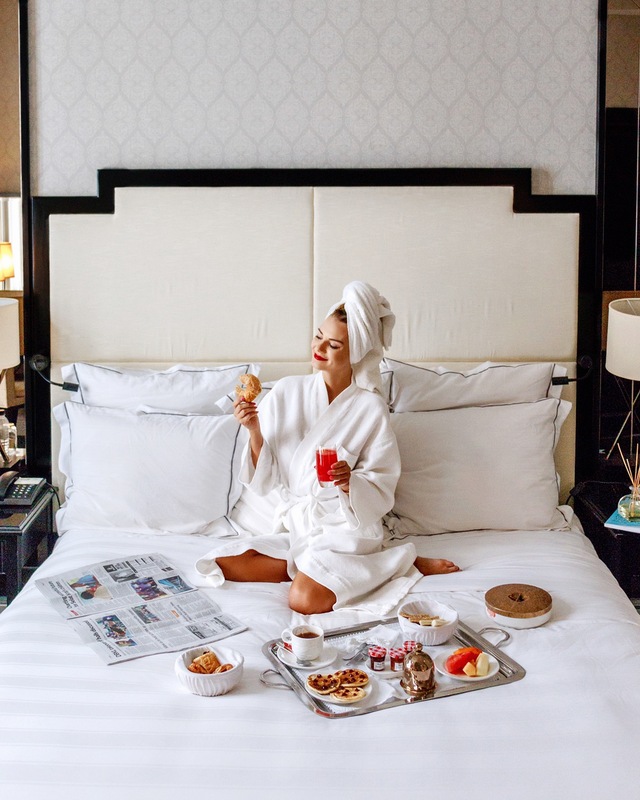 It may seem that hotel features two properties in one, which is kind of a true: The Majestic Wing is the actual historic hotel building and The Tower Wing is a new part which has been builded in 2012. Whether you prefer vintage charm or the sophisticated contemporary feel you can choose in which Wing you’d rather stay. 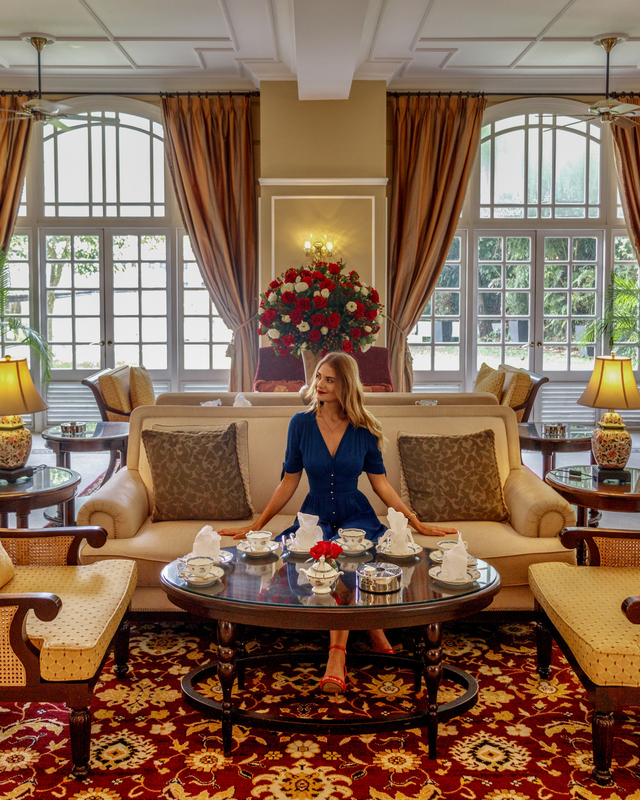 As we really wanted to taste the original style of the hotel we’ve decided to stay in Colonial Suite, located in the Majestic Wing. Spacious bedroom with – proper dressing table for ladies, living room with a desk space to work and marble bathroom with a retro bath tub turned out to be a great choice. 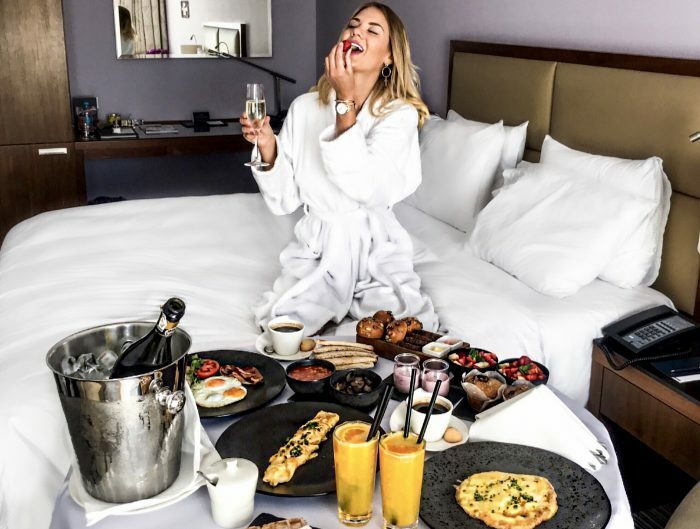 As you can see on the pictures below, our king size bed made also a perfect spot for the breakfast! All the rooms have with 24 hours butler service which was a very convenient benefit. Another perk was access to Majestic Club Lounge where we could enjoy complimentary snacks, teas and coffees during the day. It also quickly became our favourite place for a quiet conversation and a cocktail in the evening. Club Lounge always makes us feel very special and it’s definitely one of these benefits guests love to have. The Majestic Hotel features several restaurants, bar, Tea Lounge, Orchid Conservatory and Smoke House. As food lovers we obviously made ourselves a goal to try all of them. Breakfasts in Contango Restaurant with wide selection of dishes, fancy dinners in Colonial Cafe offering authentic classical cuisine from the colonial era and late evenings spent by the bar with a glass of wine and sound of piano will be well remembered. We loved each one of them. The highlight of our stay and what actually impressed me the most was Orchid Conservatory. 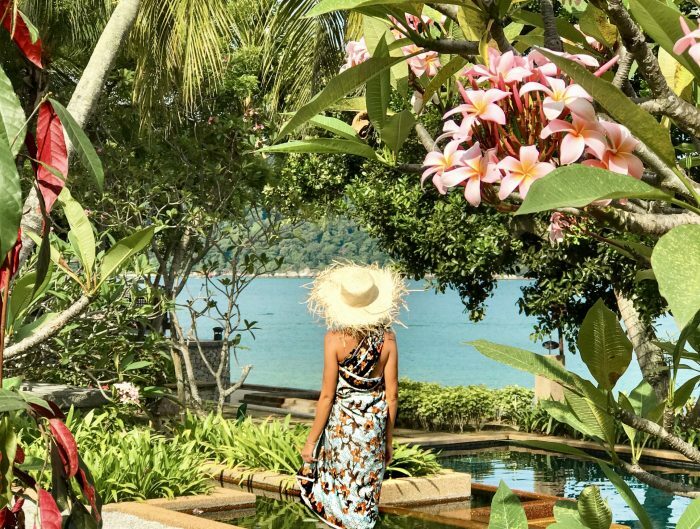 Have you ever seen a hotel with an Orchid Conservatory? Neither have I. The place tends to be very popular among guests and other visitors who organise their private events or celebrate important moments of theor lifes. We are really happy that we managed to try their Afternoon Tea Experience. 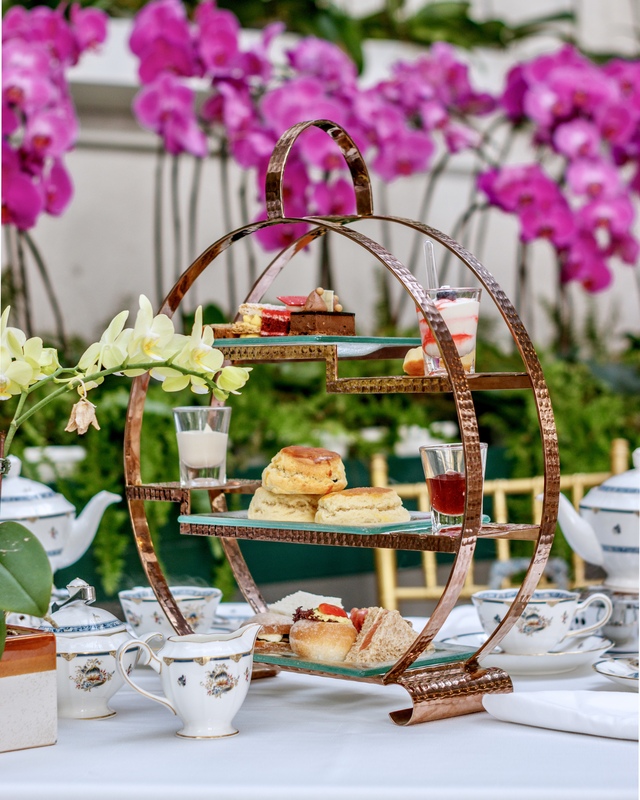 As you’ve might noticed, lately Afternoon Tea became part of our routine (especially when visiting luxury hotels) and we always truly enjoy it but we never experienced it in a glass atrium with orchidscape! 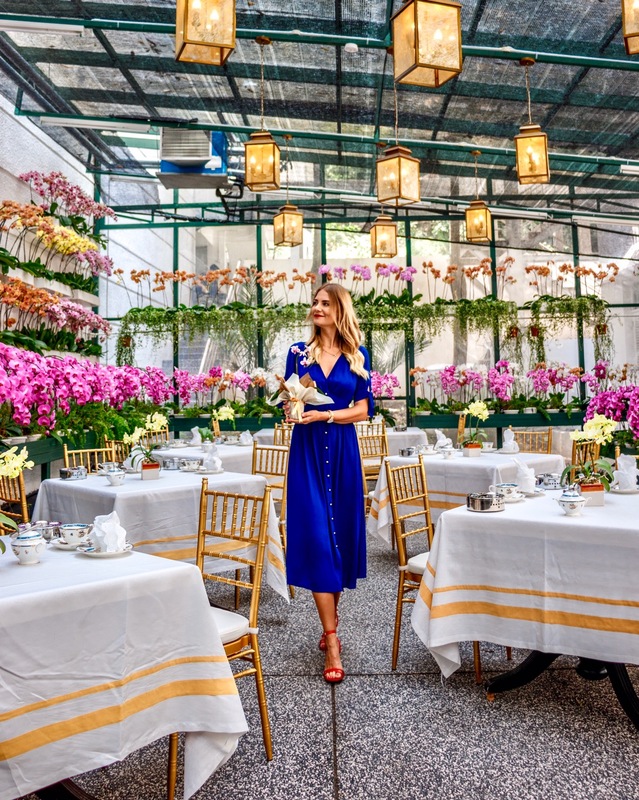 The Orchid Conservatory features a seasonal range of phalaenopsis orchids, with thousands of stunning large-petaled blooms displayed in a re-creation of their natural habitat. I totally fell in love with this place! 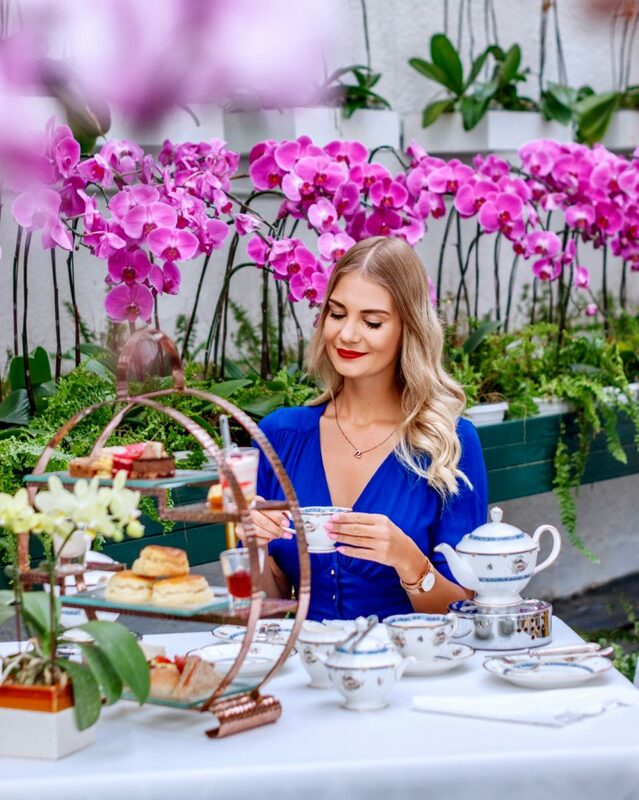 Our Afternoon Tea experience was definitely unforgettable and I wish to come back there one day at least for a quick coffee date, just to have again the chance to admire the beauty of this place! 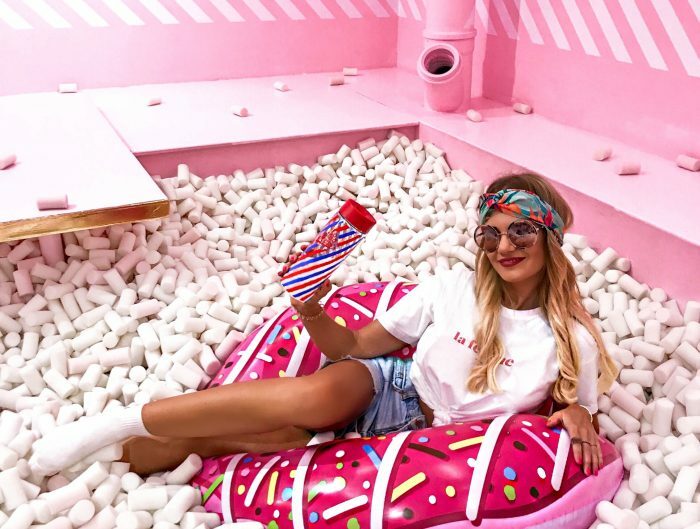 Summing up our stay, our expectations were definitely met! Professional service always ready for our disposition, explosion of flavours guaranteed by the best chefs and glamour and charm of the place which was hard to resist made it all a one perfect piece! If you’re planning to visit Kuala Lumpur, that’s definitely a hotel where I would recommend you to stay. You’ll be amazed by its atmosphere and appearance and its great location makes it an ideal base if you’re planning to explore more of the city. Oh I love that last shot! Framed so well! This hotel looks amazing! I’m planning my trip to KL now so will have a look at it! And of course the Orchid Conservatory is a must!! 😍 I love vibes of old fashioned hotels!